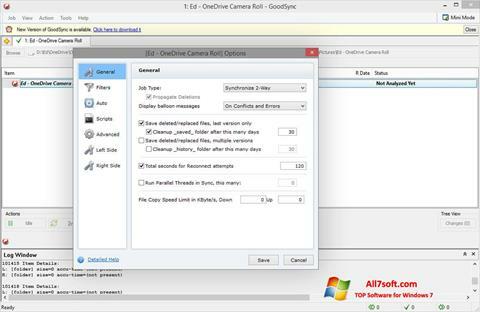 GoodSync for Windows 7 - software for synchronization and backup user data. The application uses its own algorithms for compression and version control between connected devices, supports network protocols, cross-platform information exchange, encryption and copying using Volume Shadow Copy. The utility includes a tool for setting exceptions, tools for line-by-line analysis of text files and saving attributes when transferring data between platforms. The program is case-sensitive in names and can work using a proxy connection. You can free download GoodSync official latest version for Windows 7 in English.